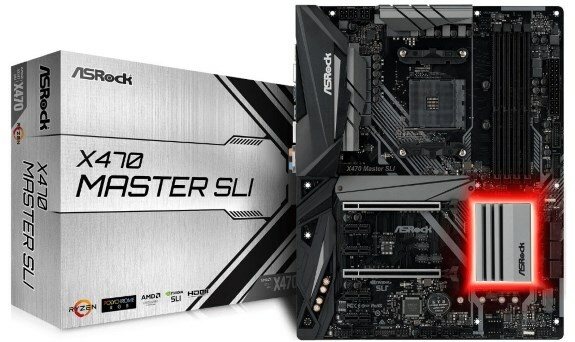 Photos leaked of the ASRock Fatal1ty X470 Gaming K4 and X470 Master SLI motherboards for the AMD Ryzen 2000 platform. This kinda feels like a blast from the past, it's funny that companies continue to use not only the SLI branding but also the Fatal1ty name. 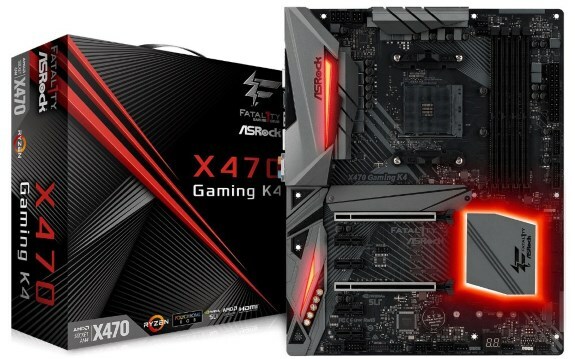 Anyway, both motherboards feature the same PCB but offer a slighty different feature set, with the ASRock Fatal1ty X470 Gaming K4 being the more feature-rich model. The pricing isn't known but these look like sub-$150 motherboards. The duo draws power from 24-pin ATX and 8-pin EPS connectors, plus an additional 4-pin ATX power connector. The CPU area features 12-phase VRM and the boards have four DDR4 memory slots, two PCI Express 3.0 x16 slots (x16/NC or x8/x8), two M.2 slots (one 32Gbps and one 16Gbps), and six SATA 6Gbps ports. USB connectivity includes ten USB 3.0 ports (six on the rear panel, four by headers), and two USB 3.1 gen 2 ports (including one type-C port), on the rear panel. 8-channel onboard audio with a mid-range CODEC, and gigabit Ethernet with an Intel i219-V controller, make for the rest of the two. The Fatal1ty X470 Gaming K4 is slightly better endowed than the X470 Master SLI, in featuring a slightly more upscale onboard audio solution (probably ALC1220 vs. ALC892), Creative SoundBlaster Cinema DSP, RGB LEDs in even the rear I/O shroud, and Fatal1ty Mouse Port (specialized USB port with supposedly lower latency).